Can you afford a new roof? Most home remodeling projects, especially popular home improvements like roofing, have substantial long-term returns in areas such as increased resale value, curb appeal and lower energy costs. The problem is that these improvements often come with hefty price tags, and few homeowners have that kind of cash floating around to pay for everything up front. Financing home remodeling is the answer. It’s wise to tap into the benefits of a new roof sooner rather than later. 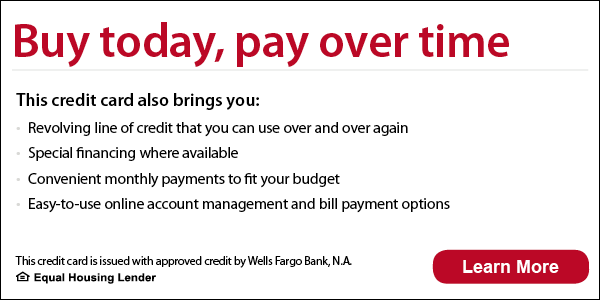 Looking for low monthly payments? We offer a variety of financing options. Inquire about them today by contacting us through our webchat in the bottom right corner or simply apply now and we will contact you. • Financing is provided with approved credit by Wells Fargo Bank N.A., an Equal Housing Lender.